There’s a day for everything these days, right? Vanilla Milkshake Day may just be the best day there is! 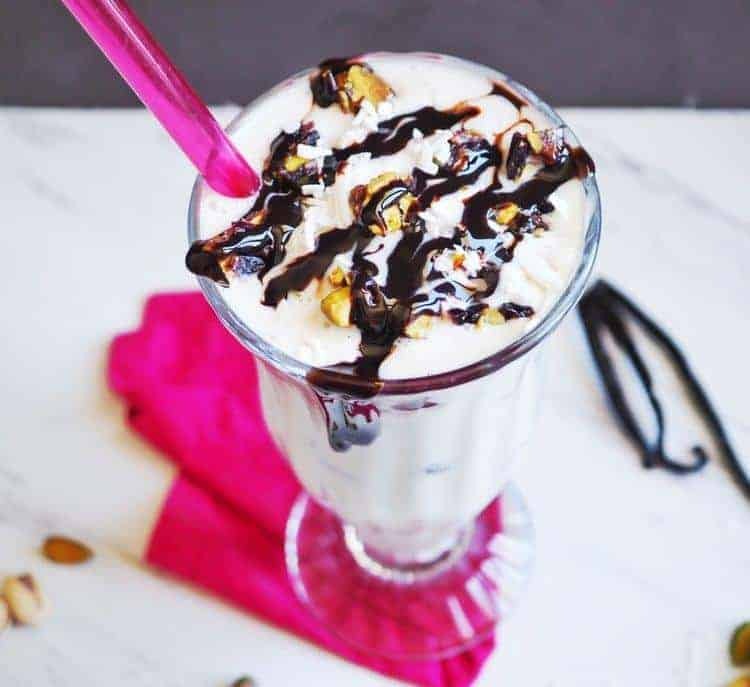 Spice up your day with this delish Vanilla Bean Milkshake with Pistachio + Blueberry Cranberry Chewy Bites recipe by Spork Foods. 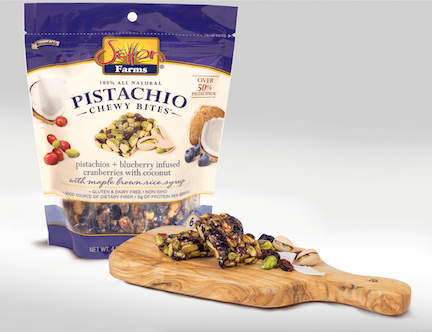 Incorporating Setton Farms’ Pistachio + Blueberry Chewy Bites reduces the guilt factor by bringing protein, potassium, fiber, and antioxidants into the game. Add ice cream, almond milk and vanilla bean seeds or extract to blender and blend until smooth, working quickly so ice cream doesn’t melt. Fold in Setton Farms Blueberry Coconut Pistachio Chewy Bites, reserving just a few for the top. Divide mixture into two glasses. Place reserved Setton Farms Blueberry Coconut Pistachio Chewy Bites on top of each glass for garnish. Add a large straw to the glasses. Drizzle with chocolate sauce, if using. L.A.-based sisters and celebrity chefs, Heather Bell and Jenny Engel of Spork Foods are vegan chefs that own a Los Angeles-based gourmet cooking school. 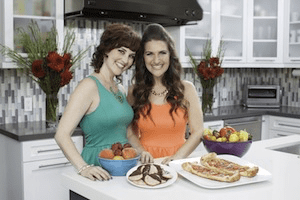 The culinary duo are also cookbook authors and work with some of Hollywood’s elite including Emily and Zooey Deschanel, Kristen Bell, Dax Shepard, Kristin Bauer van Straten, and Alicia Silverstone. Pistachios + Blueberry Cranberry Chewy Bites are all-natural bite-sized bars packed with over 50% heart-healthy pistachios, antioxidant-rich cranberries, coconut, and a touch of maple brown rice syrup. They are filled with protein, potassium, and fiber. These Pistachio + Blueberry Cranberry Chewy Bites are the ideal snack for those looking for a healthy and satisfying option in a convenient bar.